Bert, the 200-year-old bluff oak tree on the University of Florida’s campus, will be torn down sometime in the next week, according to Steve Orlando, senior director of UF media relations. Despite efforts to create a plan that saved as many heritage trees as possible, UF has settled on the design for the expansion of the College of Engineering’s Nuclear Sciences Building and the construction of the NEXUS addition that requires Bert to be removed. 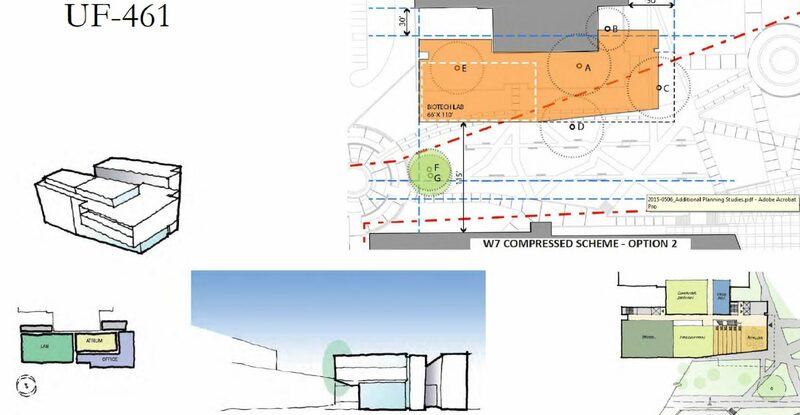 Scheme W7 Option 2 of the NEXUS building plan will require 36 trees to be removed from the area, including Bert and five other heritage trees. UF President Kent Fuchs and Cammy Abernathy, dean of the college of engineering, ultimately made the decision, he said. The NEXUS addition budget was approved after being reduced from $25 to $6 million in June. The university would like to begin construction to accommodate the early legislative start date and avoid construction cost increases, according to a letter written by Curtis Reynolds, the vice president for business affairs. On May 14, a meeting was held to discuss the various design plans presented to the University Lakes, Vegetation and Landscape Committee. One design interfered with major utility lines on the west side and another would be too close to the Reitz Union, blocking the view of the stadium. The designs were limited by the boundaries of the Campus Master Plan. The committee considered moving Bert, but decided against it because of the eight-month relocation time and $450,000 cost to drag it’s heavy frame. According to the letter, the university plans to hire an independent arborist on retainer to consult on future projects that could require significant tree removal. Kelly is a reporter who can be contacted by calling 352-392-6397 or emailing news@wuft.org. UF is going downhill fast. A travesty. First they try and sneak this by, then they just flat out make a stupid decision. The planners and architects that could not work around these 35 or so trees must have graduated from UF. No vision, no forward thinking, just the same ole BS. It’s very disingenuous for Orlando to say “everyone agrees that it’s in the best interest…to remove the tree.” I don’t think the 1500 students who signed the petition in April agree, nor does anyone I’ve talked to, including UF graduates and staff/faculty. UF continues its war on trees with no abatement and absolutely nothing to stop them. Notice this is happening while the students are away…very cowardly. So they were worried about blocking the view of the stadium. Gosh, we don’t want to compromise the stadium vista. Instead, we will kill a half dozen heritage trees. We all now know that constant stadium sightings are paramount to administrators. Every large tree blocking our view to the stadium should be removed immediately. Please contact UF PPD to schedule your tree cutting. Looks like fucks got his way and the trees are already being cut even though the funding is not secured for the buidling. What is the matter with these people…do we really want these backward thinking dickheads running the show?